Il Florence International Choir Festival ha il piacere di presentare un evento straordinario. Un concerto di gala nella splendida Chiesa di Ognissanti che si terrà mercoledì 30 dicembre alle 20,30. Un concerto che vedrà impegnati tra solisti, coro e orchestra, , quasi 100 persone. Il concerto nasce dalla collaborazione del Festival fiorentino con la International Joint Concert di Tokyo che ha portato a Firenze alcuni tra i migliori cori giapponesi tra cui l'Hokkaido Broadcasting Company Children's Choir di Sapporo che si è affermato nel 2013 come vincitore del David d'oro come miglior coro in assoluto nel nostro Festival. L'orchestra che si esibisce stasera si è appositamente costituita per questo concerto ed è formata dai migliori giovani strumentisti, selezionati in numerose città del Giappone e da alcuni strumentisti provenienti da importanti orchestre fiorentine. Il concerto è diviso in due parti, nella prima parte verrà eseguita una selezione del Messiah di Georg Friederich Händel, sul podio salirà Federico Bardazzi, apprezzato e rinomato musicista fiorentino, specialista di musica barocca. Nella seconda parte, diretta dal giapponese Masanori Kusakawa, verranno eseguite alcune tra le più celebri pagine del repertorio operistico italiano ed internazionale. Solisti saranno le giovanissime Adriana Gheorghisor, soprano, Antonia Fino, mezzosoprano e l'affermato tenore Angelo Fiore, già protagonista in importanti ruoli al Festival Puccini di Torre del Lago, al Teatro Carlo Felice di Genova e al Teatro Verdi di Pisa. Il concerto è stato possibile grazie al solerte impegno di Yoshinori Kakinuma, responsabile della International Joint Concert di Tokyo e di tutto il Board del Florence International Choir Festival, formato dal Presidente Federico Bardazzi e dalla General Manager Carla Zanin dalla pluriennale esperienza nella comunicazione e marketing di eventi culturali. Il Florence International Choir Festival giunge quest'anno alla sua quinta edizione (20-22 luglio 2016); nelle sue prime 4 edizioni ha visto esibirsi, nei luoghi più affascinanti e suggestivi di Firenze, più di 100 cori dai 5 continenti. Due nuovi Festivals, il Music Festa Florence, dedicato ad orchestre e cori giovanili la cui seconda edizione si terrà dal 15 al 17 marzo e il Florence Advent Choir Festival, che vedrà la luce il prossimo dicembre 2016, daranno la possibilità al pubblico fiorentino di apprezzare sempre di più musiche, danze, costumi tradizionali da tutto il mondo. The Florence International Choir Festival is pleased to present an extraordinary event. A gala concert in the beautiful Church of Ognissanti to be held on Wednesday, 30th December at 8.30 pm. A concert which will involve, between soloists, chorus and orchestra, almost 100 people. The concert is a collaboration of the Florentine Festival with the International Joint Concert of Tokyo, which led to Florence some of the best Japanese choirs, including Hokkaido Broadcasting Company Children's Choir of Sapporo which was winner of the Golden David as Best choir in our Festival in 2013. The orchestra that performs tonight was set up specifically for this concert and is composed of the best young musicians, selected in several cities in Japan, and some musicians from major Florentine orchestras. The concert is divided into two parts, in the first part will be performed a selection of the Messiah by Georg Friedrich Händel, on the podium will be Federico Bardazzi, appreciated and renowned Florentine musician, specialist in baroque music. In the second part, conducted by Japanese Masanori Kusakawa, will be performed some of the most famous pages of Italian and international operatic repertoire. Soloists will be the very young soprano and mezzosoprano Adriana Gheorghisor and Antonia Fino and the prominent tenor Angelo Fiore, who starred in major roles at the Puccini Festival in Torre del Lago, at the Teatro Carlo Felice in Genoa and at the Teatro Verdi in Pisa. The concert was made possible thanks to the diligent efforts of Yoshinori Kakinuma, head of the International Joint Concert of Tokyo and of all the Board of the Florence International Choir Festival, formed by President Federico Bardazzi and General Manager Carla Zanin who has years experience in communication and marketing of cultural events. The Florence International Choir Festival this year reaches its fifth edition (20-22 July 2016); in the first four years, more than 100 choirs from 5 continents performed in the Festival, in the most fascinating and suggestive venues of Florence. Two new festivals, the Music Festa Florence dedicated to orchestras and choirs whose second edition will be held in March, from 15 to 17 and the Florence Advent Choir Festival, which will come out in December 2016, will enable the Florentine audience to appreciate more and more music, dance, traditional costumes from all over the world. Wednesday 30th December 2015, 8.30 pm. Federico Bardazzi specialises in Early and Baroque Music, he is primarily active as a director in operatic repertoire, from its origins to Händel, Gluck, Mozart, Rossini and Puccini. Having trained as a cellist with Andrè Navarra in Siena and Paris, he studied chamber music with Piero Farulli and the Quartetto Borodin, composition with Carlo Prosperi e Roberto Becheri, Gregorian chant with Nino Albarosa and Johannes Berchmans Göschl, choral conducting with Roberto Gabbiani and Peter Phillips, orchestral conducting at the Accademia Chigiana with Myung-Whun Chung. He conducts the Ensemble San Felice, a vocal and instrumental group whose repertoire ranges from Medieval to contemporary music, with whom he has performed to great acclaim across the world. Devoted for many years now to the Bachian repertoire, through the Ensemble he has conducted all of the great Kirchenmusik and all of the instrumental concerts. He has conducted Händel's Messiah in numerous concerts in Italy and Europe. He usually offers, as well as a new version of Mozart's unfinished Requiem, rare pages and masterpieces of seventeenth-century music: Girolamo Frescobaldi, Francesco Maria Stiava, Dietrich Buxtehude, Jeronimo de Carrion, François Couperin, Michel-Richard Delalande, John Dowland In 2005 in particular he presented three oratorios by Giacomo Carissimi at the Queen Elisabeth Hall in London and, also in London, in May 2008 he conducted the music for the first staged performance in modern time of Händel's Rodrigo, directed by Luciano Alberti, at the Lufthansa festival of baroque music. This production was presented in 2009 at the Teatro della Pergola in Florence, where in 2011 he directed Claudio Monteverdi's Il Vespro for the Amici della Musica di Firenze, which was recorded as an audio CD by Brilliant Classic. His research programmes in Medieval music have met with great success across Europe: Nigra sum sed formosa Cantigas de Santa Maria, La Sibilla del reno Hildegard von Bingen, the litergical drama drawn from Florentine codices Quem queritis, Francesco Landini Laudi e Contrafacta nella Firenze del Trecento, Musica per San Zanobi nella Firenze del Trecento. within this frame he is currently curating La musica della Commedia, an important work on the music of Dante Alighieri's masterpiece, which takes place through concerts, conferences and multimedia productions. 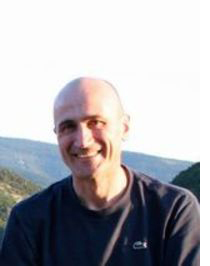 Federico Bardazzi has been the Director of the Maggio Fiorentino Formazione's courses from 2008 to 2014. In his role as training coordinator he has realised higher specialized training courses and projects funded by the European Social Fund. All his artistic and technical projects at the lyrical Theatre have been developed in collaboration with some of the main Tuscan musical institutions, such as: Teatro Verdi of Pisa, Festival Pucciniano of Torre del Lago, Teatro Metastasio of Prato, with which he is currently collaborating for other projects. This experience leads to the creation of Opera Network, originally funded together with Carla Zanin, whose objective is to assist in the development of lyrical productions, in collaboration between institutions of different natures, with the aim of encouraging and assisting young artists in the early stages of their careers in developing their professional profile and career path. Some of the most successful projects, all conducted by Federico Bardazzi, have been: Purcell's Fairy Queen (Teatro Goldoni, Florence 2013), Pergolesi's Flaminio (Teatro Verdi of Pisa 2014). Two forthcoming productions are: Alessandro Scarlatti's Il trionfo dell'Onore andGazzaniga's Don Giovanni (Teatro Verdi, Pisa 2015). Moreover, the season 2016/2017 will see Galuppi's opera in collaboration with Landestheater of Salzburg, under the direction of Carl Philip von Maldeghem. Federico Bardazzi is artistic direct of In-canto gregoriano - Incontri Internazionali di Firenze, a project devoted to the philological study and musical interpretation of the early liturgical repertoire, and member of the senior committee of AISCGre (Associazione Internazionale Studi di Canto Gregoriano). He is also President of the del Florence International Choir Festival, which, every year, brings together hundreds of choristers from all around the world, in a kermesse of high human and musical value. Being aware of the high potential that the East represents for both the Italian University as well as for the Artistic and Musical Higher Education system, he is the funder and leading member, within the project Turandot, in collaboration with the Università per Stranieri of Perugia, of a project of cultural, linguistic and musical training for Chinese students. He has been giving courses on Gregorian chant and Medieval monody at the University of Florence and he has been invited all around the world to lead Masterclasses. 2014 has been a particularly fruitful year, whose highlight have been the World Symposium of Choral Music in Seoul and the Israel Choir Conductor Association in Jerusalem. Recordings by the Ensemble San Felice – whose concerts have been transmitted by Rai, Swiss, German and Polish radio and the BBC, which has devoted one special on his performances – ranges from the Medieval to the operatic repertoire, and sees him not only in his role of conductor, but also of baroque cellist, gamba and fiddle player, for record labels such as Brilliant, Tactus, and Bongiovanni. Federico Bardazzi is Professor of Chamber Music and Baroque Music at the State Conservatory Puccini of La Spezia. Graduated from Tokyo College of Music Conducting Course. During his study in College, he was eager to study Opera conducting and after graduated he started to take not only Opera performing but also Choir and Orchestra concerts as well. He joined Fujiwara Opera Company and he studied Italian Opera in it. In 2000 he came to Italy, where he learned conducting from Danielle Ajimann. His debut as a professional Conductor was in La Traviata in Milan in 2001. He was invited by Arnold Mantovani Music Academy as House Conductor. In September 2001, he got 3rd prize at Mario Grasse International Conducting Competition. 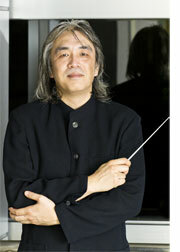 In 2005 he return back to Japan and afterwards he has conducting many orchestras, wind orchestras and choirs in Japan. Also, since 2006, he has again started to conduct Opera works in Japan. Both graduated in violin and singing, Gianni Mini has played for the Teatro dell'Opera di Roma, for the Orchestra da Camera Fiorentina and many other orchestras. After an intese concert activity he started to dedicate himself to the singing: since 2001 he collaborated with the Orchestra Sinfonica della Rai, singing in the "Ruggero Maghini" choir, with "Athestis", "Ricercare Ensemble" and other choirs and groups of early music all over Italy. He performed roles in operas by Mozart, Rossini, Donizetti, Purcell and, thanks to his vocal qualities, his collaborations ranging from Händel oratorios to romantic symphonic repertoire linked to the biggest names of the nineteenth century such as Beethoven, Brahms, Liszt, Wagner. His repertoire does not exclude even earlier composers such as Monteverdi, Palestrina, De 'Cavalieri, Carissimi. He collaborated with the Ensemble of University Choir of Florence, specializing in early music and Baroque. He founded, together with the association Capriccio Armonico, a singing group that performs Renaissance and Baroque concerts in prestigious venues such as Palazzo Pitti, Palazzo Vecchio, Palazzo Medici Riccardi. At the same time of classical studies, he has undertaken a study in vocal spirituals that inevitably led him to gospel, forming with Bob Singleton, Chanda Roule (gospel singer and choreographer in New York) and Cheryl Porter. The Gospel and ethnic music have always been part of his soul and hence the desire to establish and direct, since 1997, the choir "The Pilgrims"
The vocal ensemble Capriccio Armonico was established in 2006 under the guidance of Master Gianni Mini. Composed of artists and scholars of music and singing, they started the deepening of Renaissance and profane Baroque and then continued with the sacred music, offering performances by Claudio Monteverdi, A. Caldara, M. Charpentier, Lotti, Vivaldi and D. Buxtehude ranging from madrigals and motets, from Baroque operas to oratorios presenting them suggestive venues such as the Salone dei Cinquecento in Palazzo Vecchio in Florence. In recent years it has intensified the concert activity, flanking the study of Renaissance and Baroque music to music from the classical, romantic and contemporary period too. He has carried out interesting collaborations with other formations such as the Corale Santa Cecilia of Borgo San Lorenzo, with which in 2011 was performed Bach's Magnificat and the Miserere by Bartolucci (in the presence of the author); in 2013 they performed the Mozart Requiem in collaboration with the Coro Città di Firenze; with them, they also performed at the Teatro della Pergola in Florence a program of arias of Italian opera tradition accompanied by the Florence Symphonietta. By training the female ensemble, Capriccio Armonico has performed in numerous and applauded concerts, the Stabat Mater by Pergolesi. In April 2014, the Ensemble presented the Petite Messe Solennelle receiving unanimous acclaim from both audiences and critics. In July 2014 they performed Mozart's Requiem at the event "Terre d'Arezzo", under the artistic direction of Maestro Andrea Trovato and has revived the Petite Messe Solennelle by Rossini. He performed in the Basilica of San Lorenzo in Florence the Mass in D major KV 194 by Mozart under the baton of Maestro Mario Ruffini, on the occasion of the solemn celebrations for the inauguration of the new year in 2015 at the presence of the Cardinal G. Betori. In the course of 2015 they started a fruitful collaboration with Maestro Federico Bardazzi and Samuele Lastrucci, under whose direction they performed the "Messiah" by Händel, together with the Ensemble San Felice, during the Da Vinci Baroque Festival. International Joint Concert Organizing Committee organised a Symphony Orchestra which has been touring to EU countries evey year on late December to share the music with local music friends since 200. So far they toured to Hamburg, Dresden, Luneburg in Germany, Vienna, New York, Stockholm. At early stage of their history since last 9 years, they performed Beetoven's 9th Symphony to celebrate the New Year, but recently they performed also other works like Orff's Carmina Burana and other pieces. This year, for the first time, they will perform Händel's Messiah and Italian Opera works, a very special and interesting challenge.